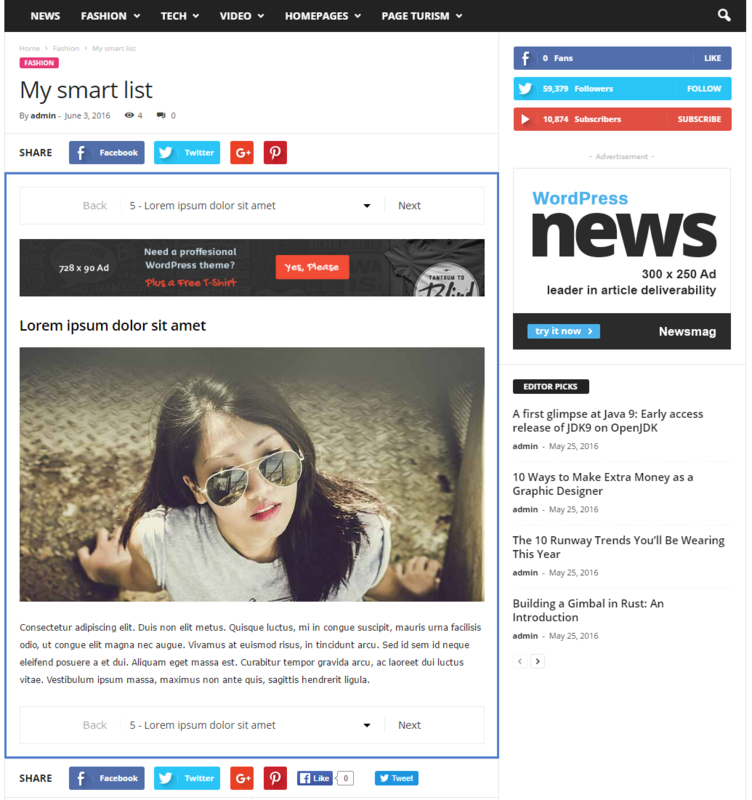 Everyone likes smart lists! We all love the short version of something that allows us to get to the point without wasting a lot of time on the way to the essential. 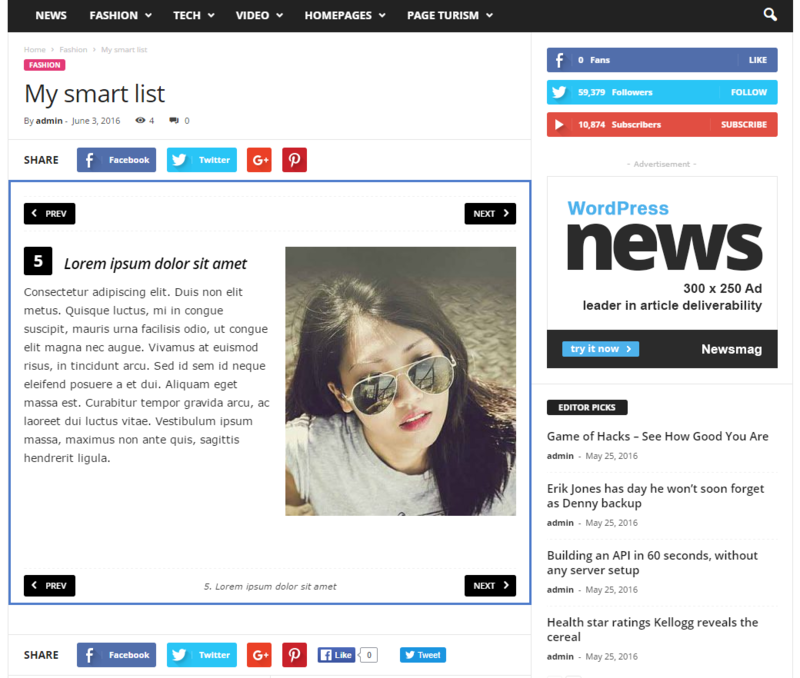 Newsmag brings you beautiful new smart list templates designed to increase the engagement on your website. 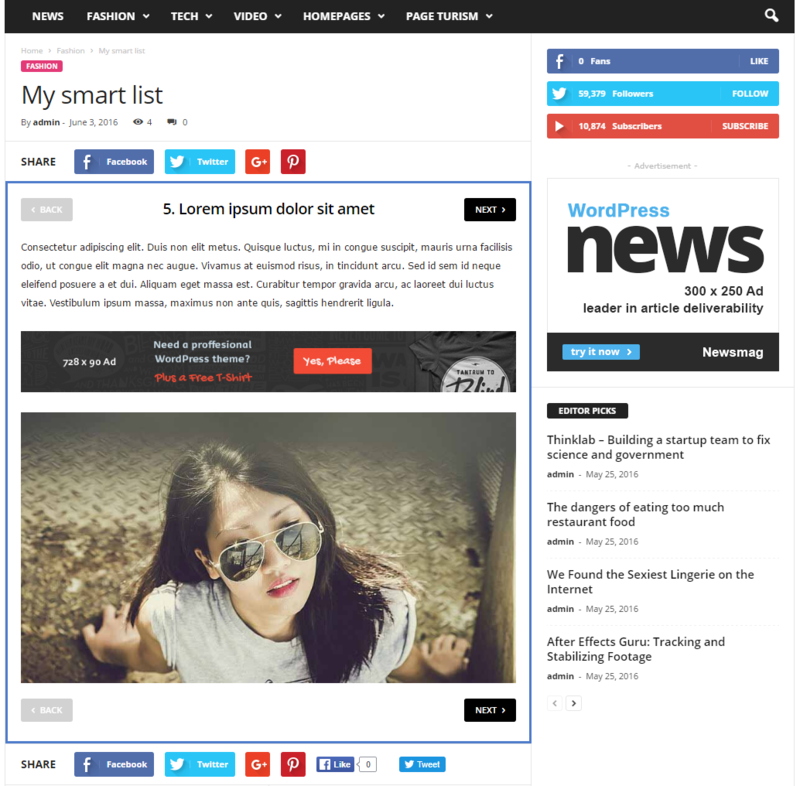 Note 1: The Smart List will use the title to generate the list. In our example, we are using Heading 3 for Titles. 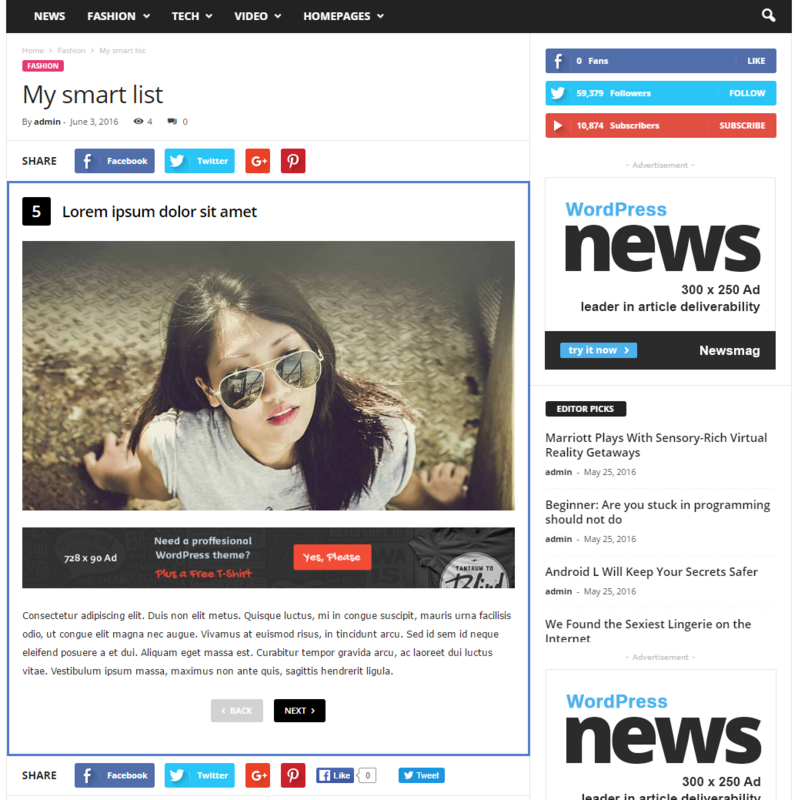 Remember: you need to set the smart list to use the same heading (H3). Note 2: Place the image and the text on separate lines and don’t set the ‘right’ alignment on the image. Leave it on the default alignment settings. 3. 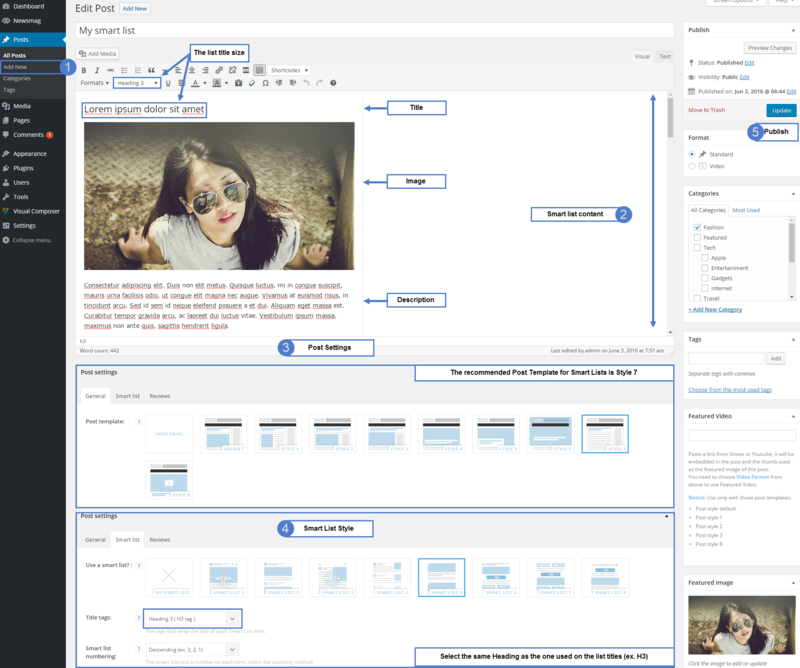 Post Settings – from Post Templates, we recommend using Style 7. 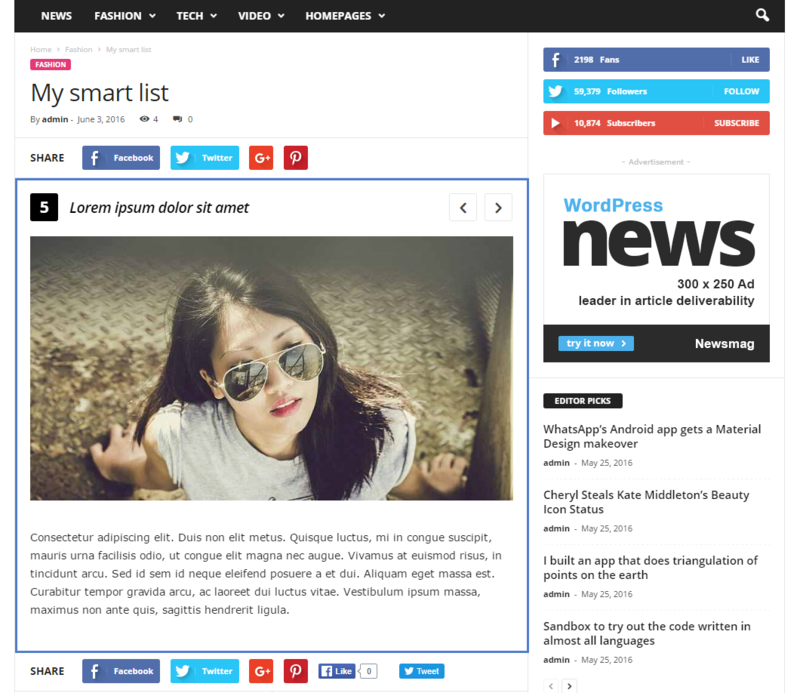 This post template will not display the Featured Image in Single Post. 4. 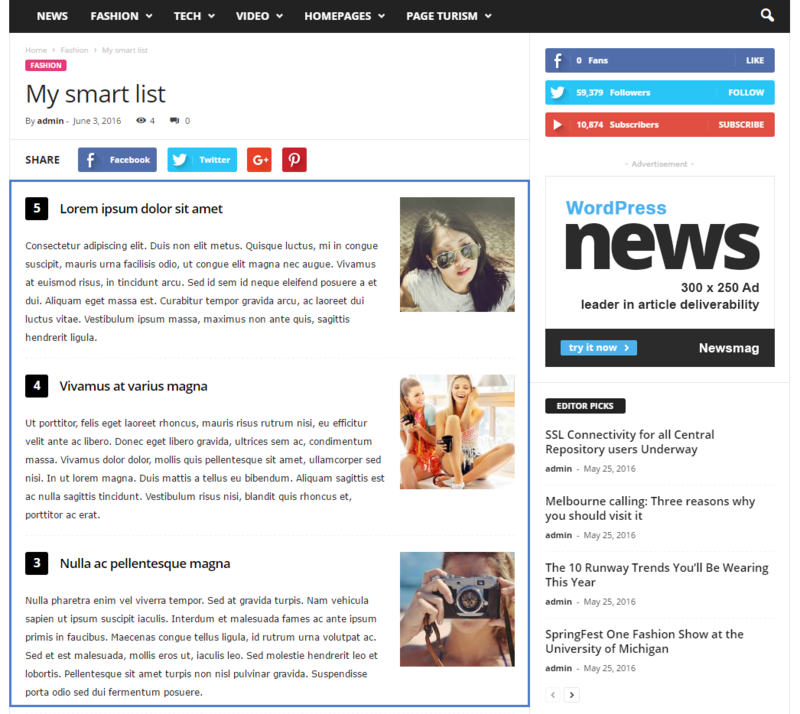 Select Your Smart List Style – at the bottom of your post editing section, open the Post Settings >Smart List tab, and select the desired smart list tab. 5. 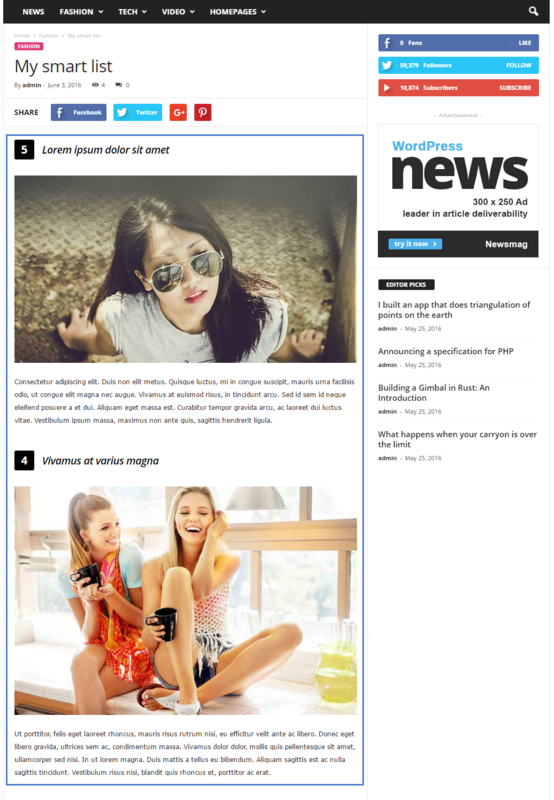 Publish Post – Save/update the post and check the result.